There's Nothing Sweeter On March 24, 2019, the UConn Huskies defeated Buffalo 84-72 to advance to the sweet sixteen in the NCAA women's basketball tournament for the 26th consecutive season. Battles Won Since 2014 Coach Auriemma’s historic NCAA win streak is set at 111 straight victories following the Lady Huskies’ elite eight NCAA tournament win over the Ducks of Oregon 90-52 on March 27, 2017. National Championships At Connecticut Geno Auriemma has led the UConn Huskies to a record 11 national championships—surpassing legendary UCLA coach John Wooden. Players Drafted by the WNBA UConn players that have been drafted to the WNBA include 20 players drafted in the first round and five players selected first overall—both NCAA records. A UConn women's basketball alumna has been selected in 18 of the last 20 WNBA drafts. Years as UConn Head Coach Geno Auriemma was named head coach of the University of Connecticut women's basketball program on May 17, 1985 and in just over 30 years has taken the Huskies to ever-higher levels of success, including 11 national championships. Times Honored As Coach of the Year In total, Auriemma has earned a combined 30 National Coach of the Year honors and has been named Conference Coach of the Year 14 times. Conference Tournament Titles Won Geno’s UConn women’s basketball team has taken its conference tournament crown 22 times, most recently clinching the 2017 American Athletic Conference Tournament Championship on March 6. NCAA Tournament Victories Through March 19, 2018, Coach Auriemma holds the record for the most NCAA Tournament wins by a coach. He has also led the Huskies to an unprecedented 25 straight Sweet 16 appearances. USA Basketball Games Won With Geno on the sidelines, the USA Women's Basketball Team is 50-1 in official FIBA and FIBA Americas competitions. He brought home a gold as assistant coach in the 2000 Olympics in Sydney, and two more as head coach at 2012 London Olympics and the 2016 Olympics in Rio de Janeiro. 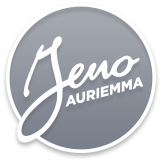 On and off the hardwood Auriemma is always striving for excellence which he brings to his restaurants, his signature wines, his sauces and his philanthropic efforts. April 24, 2013 Coach Geno Auriemma and Assistant Coach Chris Dailey are inducted into the Connecticut Women’s Basketball Hall of Fame.